Contoured handle with sure grip. 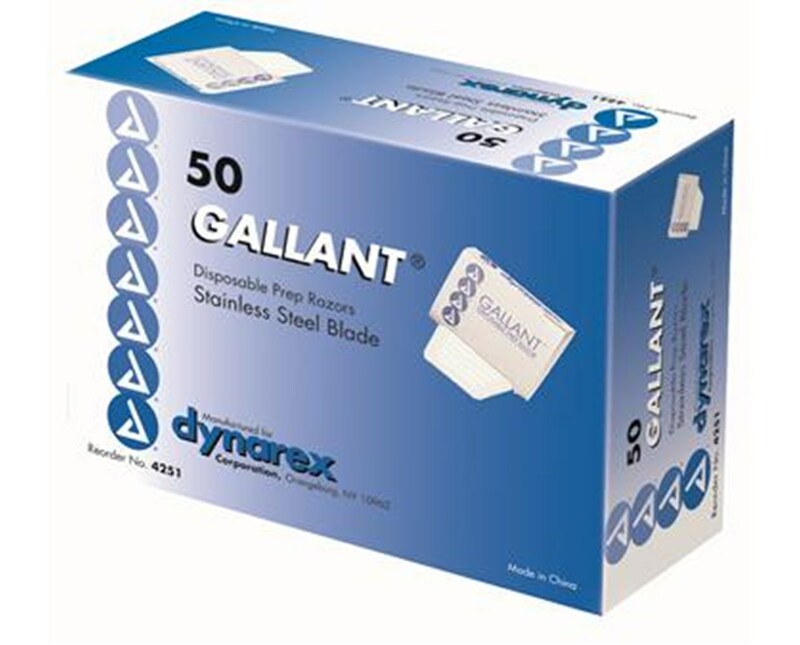 Dynarex Gallant Prep Razors feature safety mechanisms that decrease accidents. Contoured handle with sure grip ridges that provide precise fingertip control. Easy to use; handle lies in front of blade thus requiring only light gentle pull instead of pressure. Platinum coated stainless steel blade shaves close without nicks or irritation. 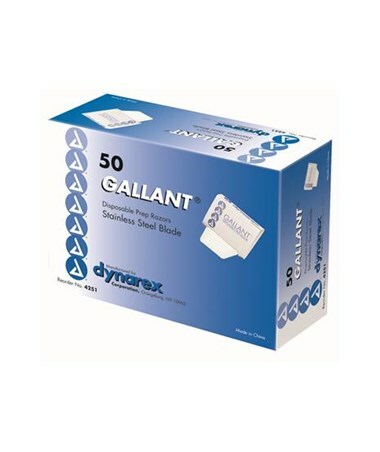 Dynarex Gallant Prep Razors convenient open design provides optimal view of shaving area for an efficient shave. No need for more than one razor per procedure. Cost effective, quality, and convenient. Ideal for use in hospitals and surgery centers to assist with prepping for procedures.